Voestalpine AG, an international steel-based technology and capital goods group based in Linz, Austria made the decision to bring brand consistency to their 500 Group companies, based in more than 50 countries on 5 continents. As part of this worldwide update, Bohler-Uddeholm (UK) Ltd rebranded to voestalpine High Performance Metals UK Ltd. Head quartered in the West Midlands, they are leaders in supplying specialty metals to the most demanding sectors including Oil & Gas, Aerospace, Power Generation, Automotive and Motorsport. 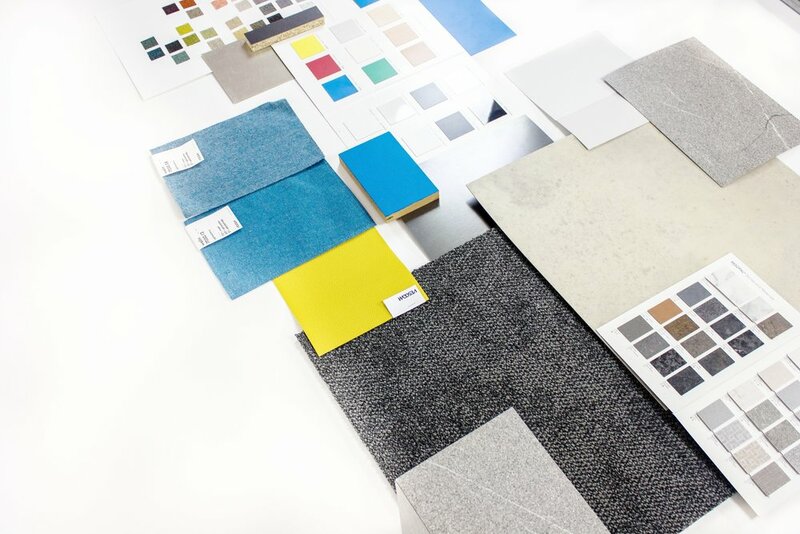 We were selected to design and undertake main contracting of the first interior fit-out in the UK. 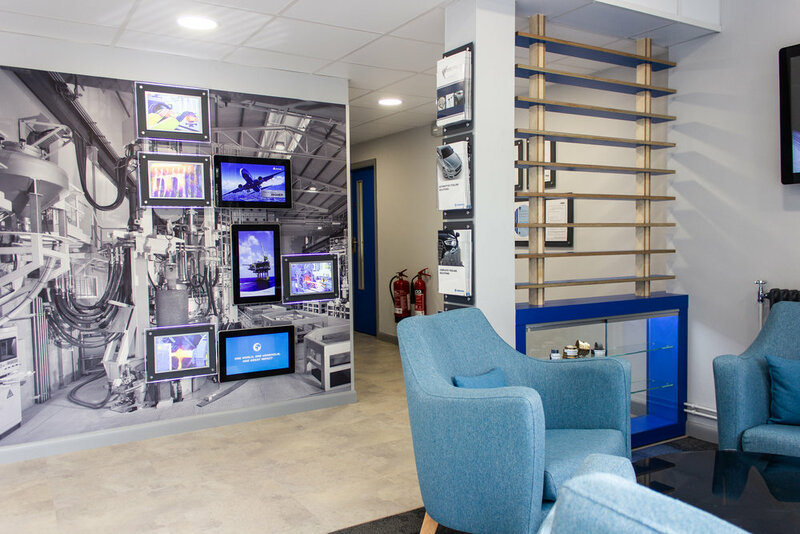 Our in-house teams were able to respond quickly and effectively to design and specify a ‘fit for purpose’ modern interior which was true to the global brand values of the voestalpine Group. 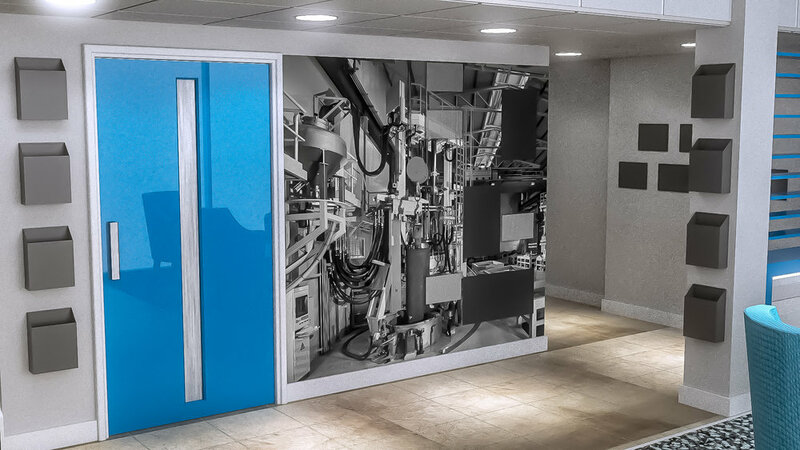 The keystone of our delivery was to ensure introduction of digital inclusivity to the UK site, to realise this we produced an interactive digital display which enables easy remote login and management giving ‘on the spot’ delivery of the company’s newest digital marketing at the click of a button. In order to deliver the project we had to harness the power of our in-house technical and manufacturing capabilities. Our interior fit-out and installation teams ensured effective renovation of the space. Replacement of ceiling wall and floor finishes, electrical, plumbing and decoration works as well as professional cleaning services were all employed. Below are images of the design process through to finished site; please feel free to peruse and should you have any questions please do not hesitate to make contact. Following site meetings and production of existing plans we followed a thorough interior design process involving specification and design of all FF&E elements.